Guess who’s back in town. 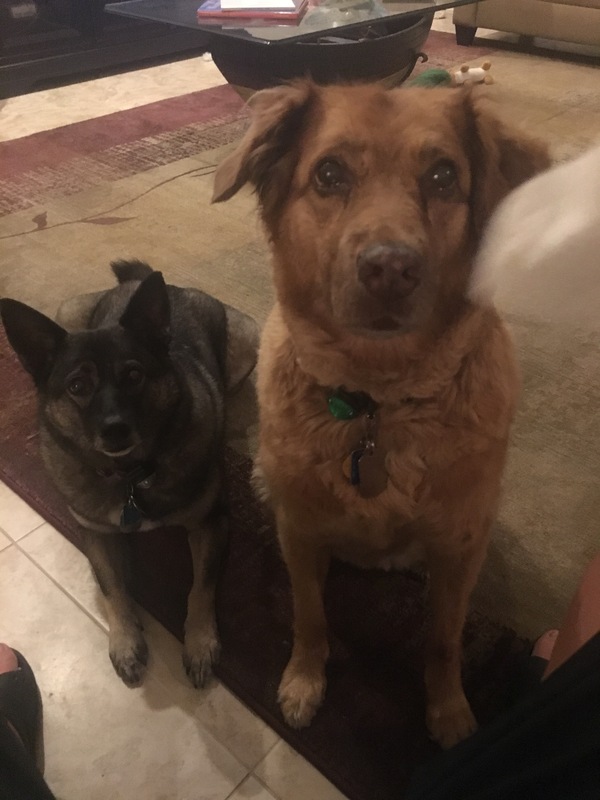 Reba and Crosby are very grateful dogs. They have a great house or maybe they should make it plural. They were happy with the river, Charleroi, A-wall, little Boston, Canal Winchester, Upper Arlington, Monongahela or Destin. As long as they had beds and belly rubs they were good to go, rolling with the punches in 2018. Something about the magical fibers emitted in the fur. Elle has evacuated . . .
Do you know your snakes? It’s been a long few months and today’s car ride was just as long. Let’s take moment to think about gratitude. Lindsey and Chris had a toast to remember. If you have followed our journey with ALS, this is one of those moments that we will always remember. Personal umbrellas are banned. . .
What do you do when the place you are beaching at does not permit personal umbrellas? Did we mention that the instruction sheet was left behind when the tent was loaded? Eventually the Eagle Scout, got off of his chair and assisted the Mrs. with the tent to make sure we had some shade at the beach. Just looking for some pictures in the google cloud. These are all over the place but a good test project for ways to meditate when in the gulf. Lindsey went on a boat ride.